Does your child have any limitations or conditions that we should be aware of? If you are unable to view a class listed on our schedule, the class may be full. Please wait list your child as this helps us determine where we need to add classes. A brief class description is available when you register for class, however if you require a more detailed class description, please refer to the class descriptions on our website or give us a call at (614) 895-1611 Westerville or (614) 793-1936 Powell. I ASSUME THAT RISK AND ALL OTHERS BOTH KNOWN AND UNKNOWN. In consideration of my child's participation, I hereby release and covenant not-to-sue Buckeye Gymnastics, Inc., or it's Board of Directors, the officers, employees, teachers, coaches, or agents, from any and all present or future claims resulting from accidents or ordinary negligence on the part of Buckeye Gymnastics, Inc. or others listed for property damage or personal injury arising as a result of my child's participation in gymnastics, cheerleading, trampoline or any other activities or any activities incidental thereto while at Buckeye Gymnastics, wherever, whenever, or however the same may occur to the fullest extent of the law. As the parent or guardian of the named child, I hereby agree to individually protect to 100% for all costs associated with or arising from the possible future medical expenses, plus any additional and related expenses, which may be incurred by my child as a result of an injury sustained while participating in any program of instruction, recreation, birthday party, camp, special event or competition at, for, or under the direction or control of Buckeye Gymnastics, Inc. I Consent to allow Buckeye Gymnastics to use any video or photographic material that may contain images of my child for any lawful purpose. Should I object to the actual use of any image or video that contains an image of my child I may ask for it to be removed and it will removed immediately as long as it is possible to do so. This Acknowledgement of Risk, Waiver of Liability, Covenant Not-To-Sue, Indemnification Agreement and photo release shall be ongoing and shall apply during all the years that the above named student participates in activities under the direction or control of Buckeye Gymnastics, Inc. This Acknowledgement of Risk, Waiver of Liability, Covenant Not-To-Sue, Indemnification Agreement, and photo release having been read thoroughly and understood completely is signed voluntarily as to its content and intent. Tuition is paid every four weeks. A valid credit or debit card is required for online registration. Tuition is due the 5th of each month to maintain your child's enrollment. Our standard tuition rates cover 4 consecutive classes. We are able to pro-rate classes for those that join or drop at any time during the tuition cycle. You may enroll, change day, time or class, at any time. If you would like to cancel your class enrollment, please notify Buckeye Gymnastics in writing by the 1st of the month to avoid being billed on the 5th or provide a written notice to cancel two weeks prior to your anticipated cancellation date. Buckeye Gymnastics offers two types of tuition payment plans: By registering online you are automatically enrolled in the automatic payment plan. You may provide a credit or debit card authorization to be billed automatically the 5th of each month. Online enrollment automatically enrolls you in our automatic payment program. If your payment is not received in a timely manner, your child will not be enrolled in classes for the corresponding tuition cycle.. We can not guarantee re-enrollment. A detailed calendar of tuition and corresponding enrollment dates is listed below. All returned payments will incur a $25.00 fee. I authorize Buckeye Gymnastics to automatically charge my credit card for any balance due. My credit card will be charged the 5th of each month for the corresponding class tuition cycle. I agree to contact Buckeye Gymnastics with any concerns, any credit card changes and any credit card expirations at least 14 days prior to the start of the new tuition cycle to allow time for correction. Payment is due at the time of registration. Family Discount: 20% discount on the lowest tuition; available for all additional family members. Only one discount applies per class. Active Military Discount: Please present your active military ID at the front desk and receive 20% off of all class tuition. ALL TUITION WILL BE ADJUSTED WHEN APPLICABLE. You will receive detailed information regarding charges to your credit card within 48 hours. 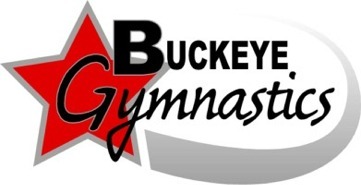 We are confident that Buckeye Gymnastics provides the finest gymnastics programs in Central Ohio. That is why we are happy to offer the following guarantee: If within the first two weeks of your first term with Buckeye you are unhappy, we will withdraw your child from class and cheerfully refund 100% of your tuition and Membership fee if you are new to our program and provide written notice by the end of the second week. A confirmation email will be sent within 48 hours regarding class enrollment and the total amount charged to your credit card. We offer make-up classes to currently enrolled students. We do not offer make-up classes to students who are not currently enrolled. We will make every effort to provide a class at your level. In the event that we are not able to do so you are eligible to participate in Friday Night Flips free of charge. There are some classes that are so advanced or specialized that we only offer one class a week. In order to make up a missed class you will need to take the class in a closely related class or schedule the make up at the other gym or make use of a Free Friday Flip. We are unable to issue any credits on account for missed classes. Absences are eligible for a make-up class for 6 months from the date of the absence provided you are currently enrolled in class. Please call the front desk to schedule your make up class. If you are unable to attend your scheduled make up class, your absence will be forfeited if a cancellation is not received 24 hours prior to your scheduled make up class. Please call the front desk at 614-895-1611 Westerville or 614-793-1936 to schedule your make up class.